Drug Abuse Treatment How to Learn It Is Zen Meditation Right for You? People usually sit in the lotus position (sitting with their legs crossed) during Zen meditation. They focus their attention inward. While some practitioners say this is accomplished by counting breaths—generally from one to 10—each time they exhale, others say there is no counting involved. Zen meditation is considered an “open monitoring meditation.” Monitoring skills are transformed into a state of reflexive awareness with a broad scope of attention without focusing on one specific object. Zen meditation is similar to mindfulness in that it is about focusing on the presence of mind. But mindfulness is about focusing on a specific object and Zen meditation involves a general awareness. Unlike loving kindness and compassion meditation (which focuses on cultivating compassion) or mantra meditation (which involves the recitation of a mantra), Zen meditation involves increased awareness of the ongoing physical and self-referential processes. Individuals who practice Zen meditation attempt to expand their attentional scope to incorporate the flow of perceptions, thoughts, emotions, and subjective awareness. Zen meditation often involves keeping the eyes semi-open, which is different from most other forms of meditation that encourage closing the eyes. During Zen meditation, practitioners dismiss any thoughts that pop into their minds and essentially think about nothing. Over time, they learn how to keep their minds from wandering and may be able to tap into their unconscious minds. The goal is often to become more aware of preconceived notions and gain insight into oneself. Research clearly shows meditation has a wide range of physical, cognitive, social, spiritual, and emotional health benefits. And of course, meditation can be a great stress reliever, which is why many people turn to it in the first place. It’s likely that Zen meditation offers many of the benefits of other types of meditation, but much of the research on meditation hasn’t differentiated between the different types. There is early research that shows different types of meditation may affect the brain in slightly different ways. So, it’s possible that Zen meditation might offer some additional benefits beyond the benefits seen in other types of meditation. For years, scientists have studied how meditation affects the mind and the body and there’s been some particular interest in Zen meditation practice and how it affects the brain. In a 2008 study, researchers compared 12 people who had more than three years of daily practice in Zen meditation with 12 novices who had never practiced meditation. Everyone in the study was given a brain scan and asked to focus on their breathing. Occasionally, they were asked to distinguish a real word from a nonsense word on a computer screen. Then, they were instructed to try and focus on their breathing again. The scans revealed that Zen training led to different activity in a set of brain regions known as the “default network.” The default network is linked to wandering minds. The volunteers who regularly practiced Zen meditation were able to return to their breathing much faster than the novices after being interrupted. The authors of the study concluded that meditation may enhance the capacity to stay focused, pay attention, and limit distraction—all of which can be a struggle for many people in today’s digital world. There’s also been a lot of curiosity about whether Zen meditation can allow practitioners to better access their unconscious minds. It’s thought that the conscious mind can only focus on one thing at a time—like your grocery list or a book that you’re reading. But, experts suspect the unconscious mind is vast. Many researchers believe that knowing how to access unconscious processes could foster greater creativity and help people become more aware of the things they need to do to reach their goals. A 2012 study examined whether Zen meditation helped practitioners better access their unconscious minds. All of the participants were experienced Zen meditators. One group was asked to meditate for 20 minutes. The other group was asked to read magazines. Then, all of the participants were seated in cubicles with a computer. They were instructed to link three words presented on the screen by a fourth, associated word. They were asked to type the answer as fast as possible. The individuals who meditated prior to the test were able to complete the task faster, which showed researchers they had better access to their unconscious minds. In another study, one group was again asked to meditate for 20 minutes while the control group was simply told to relax. Then, all the volunteers were asked 20 questions, each with three or four correct answers. For example, they may be asked to name one of the four seasons. Just before seeing the question on the computer screen, however, a potential answer such as “spring” flashed up for 16 milliseconds. The meditation group gave, on average, 6.8 answers that matched the subliminal words. The control group only matched an average of 4.9 words. The researchers concluded that the meditators were better able to access what the brain has paid attention to than the non-meditators. The authors of the study report Zen meditation might be able to provide better insight into what’s going on in the background of the brain. A better understanding of how you’re feeling, why you make certain decisions, and how you’re influenced by your environment may have a big impact on your life. While many meditation practices are about the mind-body connection, the authors of a 2018 study published in the Journal of Traditional and Complementary Medicine say Zen meditation also includes the brain-heart interactions. This is one of the reasons why Zen meditation is used in drug abuse treatment programs in Taiwan. Zen meditation slows heart rate and respiration while also improving the functioning of the autonomic nervous system. Individuals who are in recovery from drug abuse may experience problems with their autonomic nervous system—the system responsible for the control of the bodily functions that are not consciously directed, like breathing, heartbeat, and digestive processes. Researchers have found that 10-minute Zen meditation sessions have shown significant improvement in autonomic nervous system function in patients. Zen meditation also improves mood and a better mood can be key to helping people with a drug addiction resist the temptation to use again. The researchers also found that Zen meditation “enhances the hypothalamus and frontal-lobe functioning,” which improves their self-control and helps them overcome addiction. Sixteen out of 18 participants in the study said they experienced “cleaning and rejuvenation of body and mind” after a 10-minute Zen meditation session. Participants also reported scalp tingling, whole-body heat, and feeling cool. Researchers who use Zen meditation as a treatment say it impacts regions of the brain that help individuals successfully go through detox and the recovery process. There are many ways to learn more about Zen meditation. There are plenty of audio programs, online videos, online learning programs, and books devoted to the subject. You might also find a Zen meditation class so you can learn from an instructor. In addition, there are a variety of meditation retreats that last anywhere from a weekend to a month or more. Zen meditation retreats are especially popular with tourists in China who want to learn the practice in a Buddhist temple. So depending on your interest, needs, and budget, there are plenty of ways to find a program that will help you learn Zen meditation techniques. Is Zen Meditation Right for You? When it comes to meditation, it’s important to find which type is best suited for you. Enjoying your meditation practice is key to sustaining over a long time. 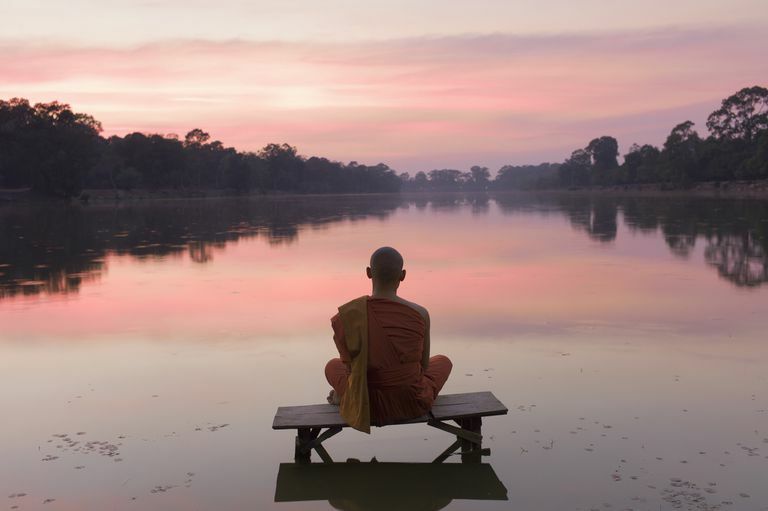 Research shows that Zen meditation doesn’t always turn out to be a favorite. In fact, sometimes, it’s near the bottom of the list. In a 2012 study, college students spent seven days practicing a specific type of meditation over the course of four weeks. At the end of the study, they were asked to rank the meditation practices in order of personal preference. Significantly more participants ranked Vipassana (mindfulness) and Mantra meditation as higher than Zen and Qigong Visualization. If you try Zen meditation and it isn’t right for you, don’t ward off all types of meditation. You might simply need to try another type until you find that one that is best suited for you. What Is Dysphoria and How Is It Treated? Can Regular Meditation Help You Live Longer?